The quarrying of granite was in full swing when Delius composed his famous tone poem in 1912. Using oboe, clarinet and strings, he mimicked the call of the cuckoo and painted a masterly musical canvas. An image of rural beauty, such as can be seen and heard on Kit Hill today. For the quarry has long since closed. The heart of the hill may live on in lighthouse and London bridges, but the sound of hammer upon tare and feather has faded into the Cornish air. It is a place of silence now. Of murmuring winds. Of bee song. 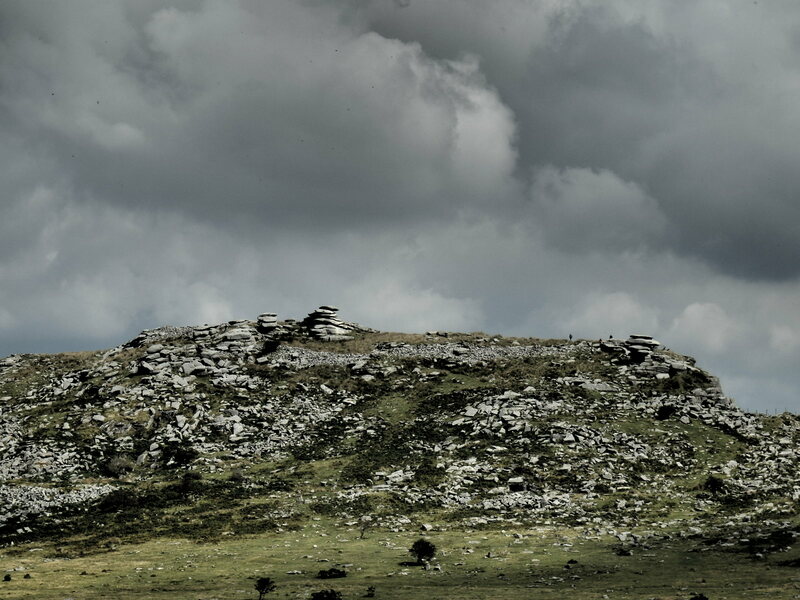 Kit Hill (Cornish: Bre Scowl) dominates the skyline between Callington and the Tamar. 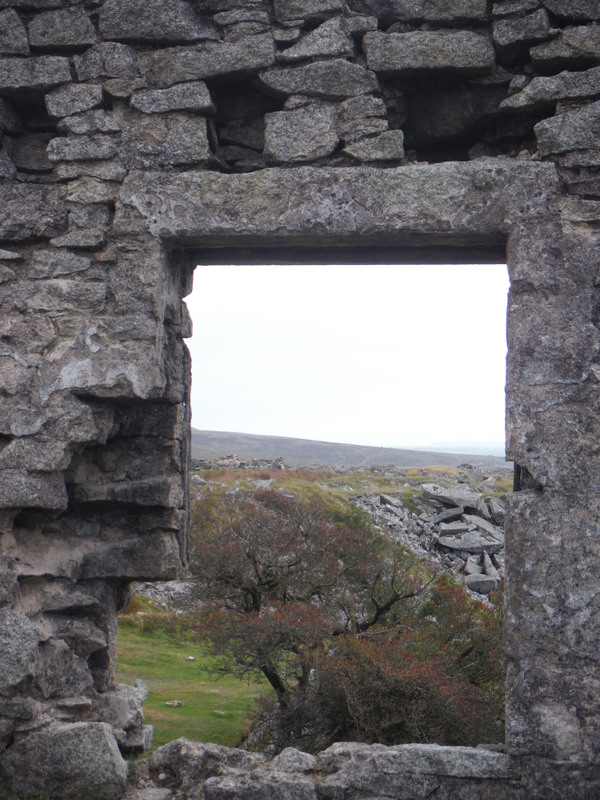 From here, one can look across a tapestry of fields towards the tanned tors of Dartmoor, view the glinting ocean and count a myriad engine house stacks, peppered about the pastures of a verdant landscape. 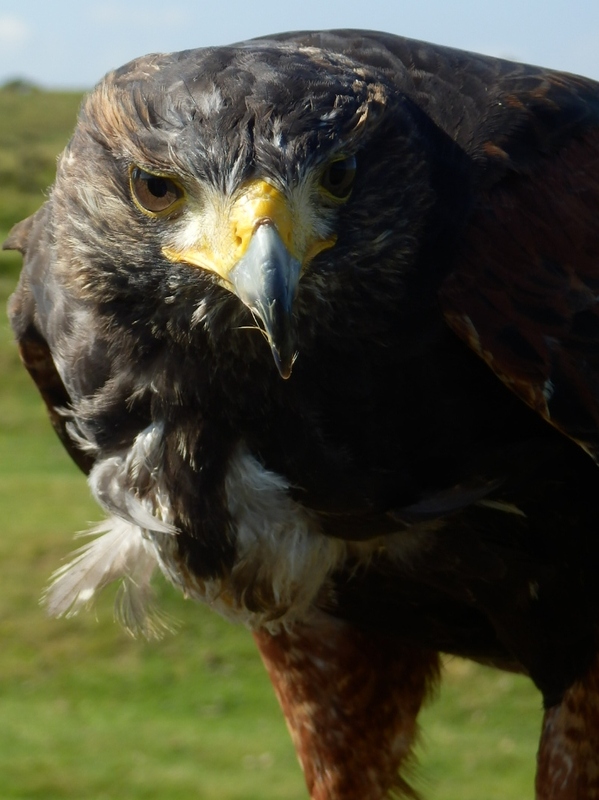 Its name is derived from the Old English word for kite; and buzzards still ride the thermals on a warm afternoon. An afternoon such as this. Late spring sunshine bathes the campion, cow parsley and bluebells which line up to form a patriotic guard of honour along the path to the quarry. This is my home country. Haunt of my childhood and haunt of generations who have come to this place to swim. To soak away the heat of the day. To skinny dip under a Cornish moon. To be together. To be alone. To become immersed in still water. Immersed in an alternative universe. Shielded from the known world by steep walls of stone. Where worries can be discarded like unwanted blocks and allowed to sink down into the greenest depths. Plagued by knotted muscles and a knotted mind, I am here to unwind. To unload. Launching off, I am attracted by the sight of lichen crusted branches reaching out to soothe swollen arthritic fingers in the limpid water. I am reminded of mangrove swamps; an image made all the more real as I peer into the shallows, teeming with tadpoles. For here I spy the olive and green form of a horse leech (Haemopis sanguisuga.) Cradled in my palm it writhes and loops before attaching a gaping sucker to my finger. But its teeth cannot penetrate human skin, so I enjoy the moment. A literal connection with nature. Despite it being an hermaphrodite, I decide to name ‘him’ Larry. Larry the leech. And I fancy we are friends as I carefully set him down in the silty mud. I swim back to the heart of the lake and float with only my thoughts as company. On my back. Hands behind my head. Legs crossed. Drifting. Dreaming. Hearing each breath whenever my ears sink below the surface. Feeling the breeze stroking my skin. Floating with the seed heads. And every bit as aimless. 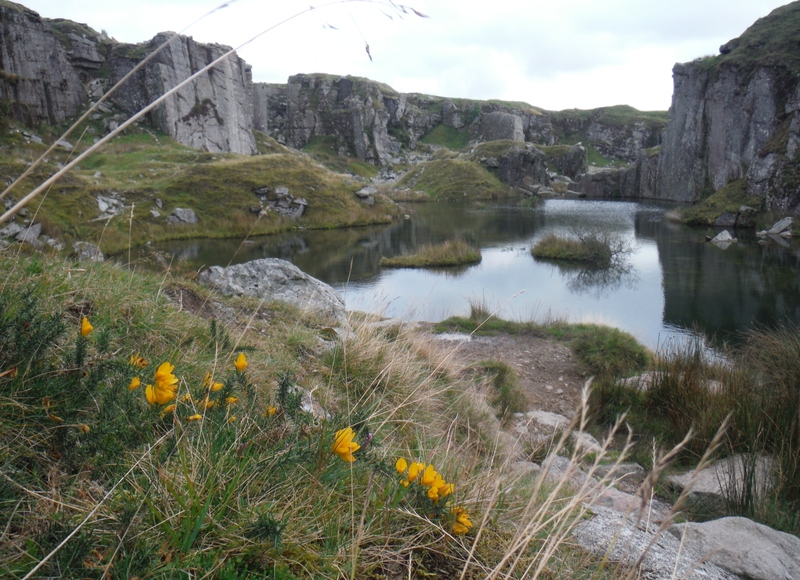 Early evening sun floods the quarry, turning rowan blossom to gold, as shadows slide across the ragged rock face. Four frog kicks and I am back in the sandy, stone-strewn shallows. Shorts drying on hot rock. Where ferns unfurl and butterflies meet buttercups. I startle to a call. A cuckoo. Close and loud and lovely. And there it is. In front of me. Most elusive of birds. Landing on a weathered post. Tail fanning on descent. Barred underbelly to mimic a sparrow hawk; curse of the meadow pipit, dunnock and reed warbler. But a gift to me as I watch and hear it call again and again and again. And then an answer; distant but distinct. And another. And another. As if an orchestra were being conducted. In this concert hall of creation. 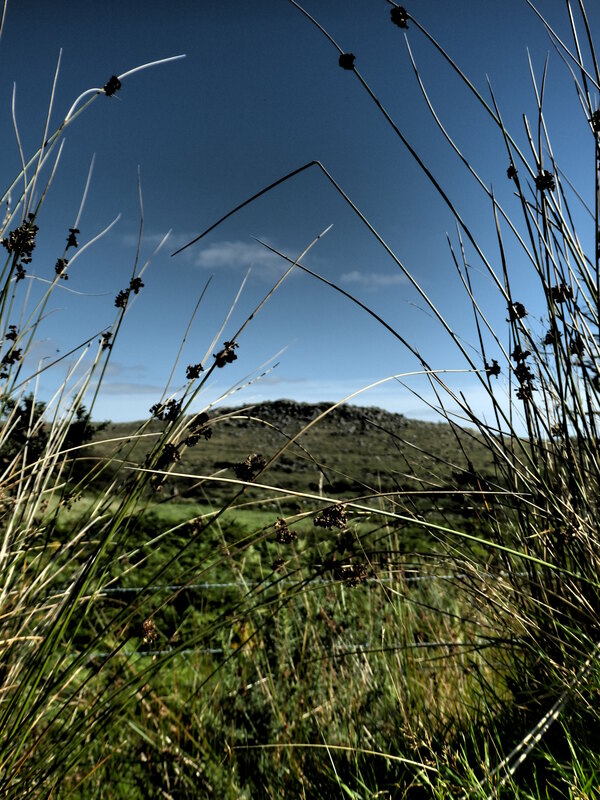 Meldon has a story rooted in limestone. 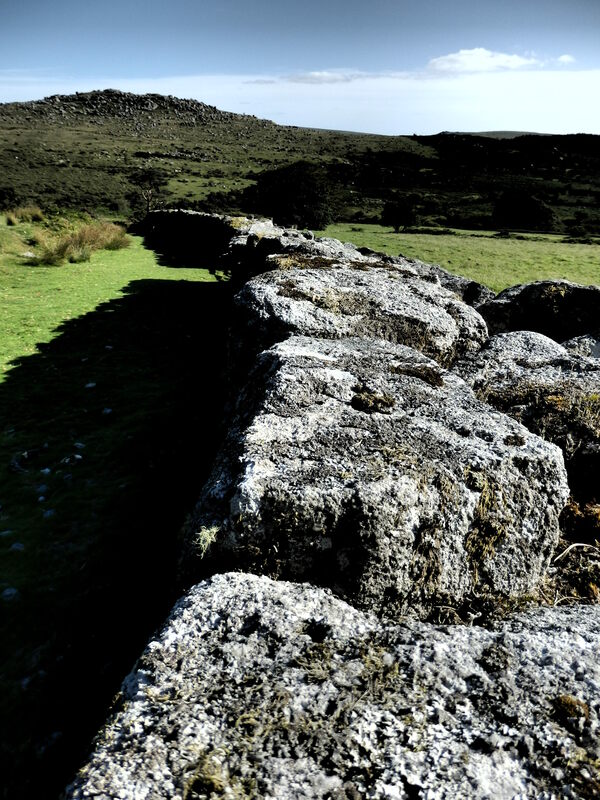 On the northernmost fringe of Dartmoor; where the roughness of granite yields to rolling pasture and where, on a fair day, the horizon widens to embrace the sea, the hamlet of Meldon is best known for its quarries. 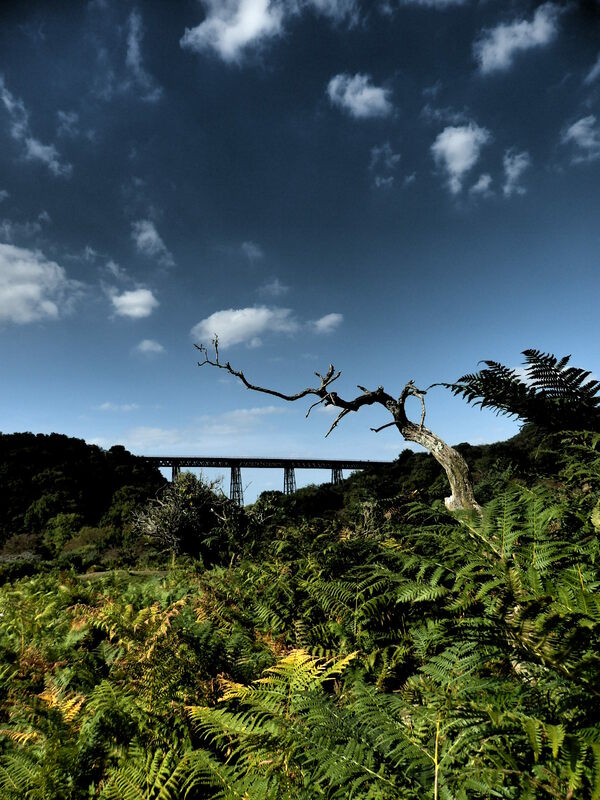 Today, ballast for the railways is still excavated from one site, but beyond this, through woodland and under the vast spans of a viaduct, rests a peaceful place. Where drills and powder, tares and feather have long fallen silent. Where quiet has replaced the calls of the quarrymen. 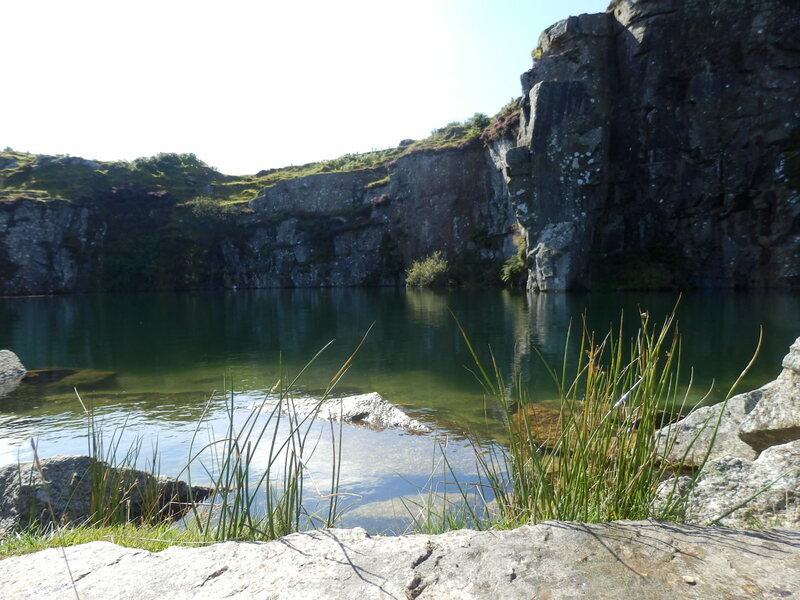 At Meldon lay a deposit of limestone, sandwiched between layers of hard, flinty chert. 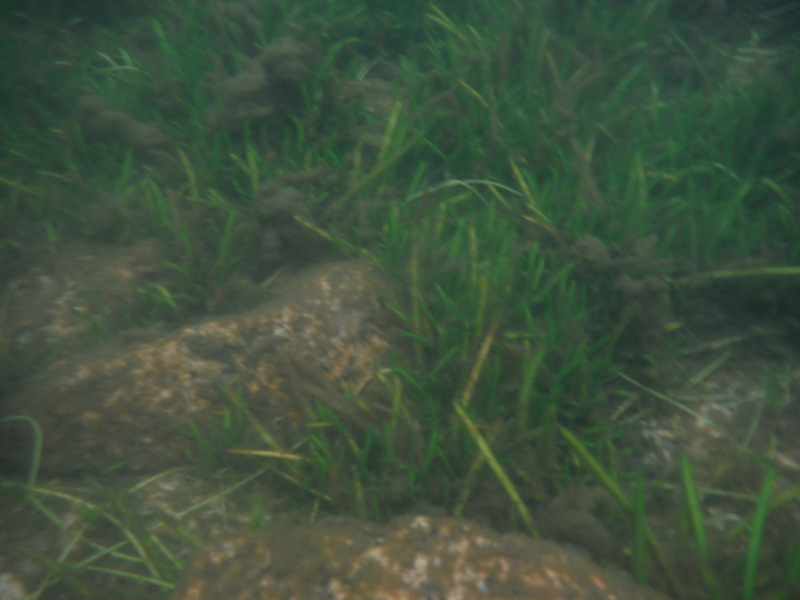 Being quite distant from the coast, there were no ready supplies of seaweed and sand to nourish and neutralise the peaty, acidic fields. So lime was quarried, kilned and spread to ‘sweeten’ the soil hereabouts. 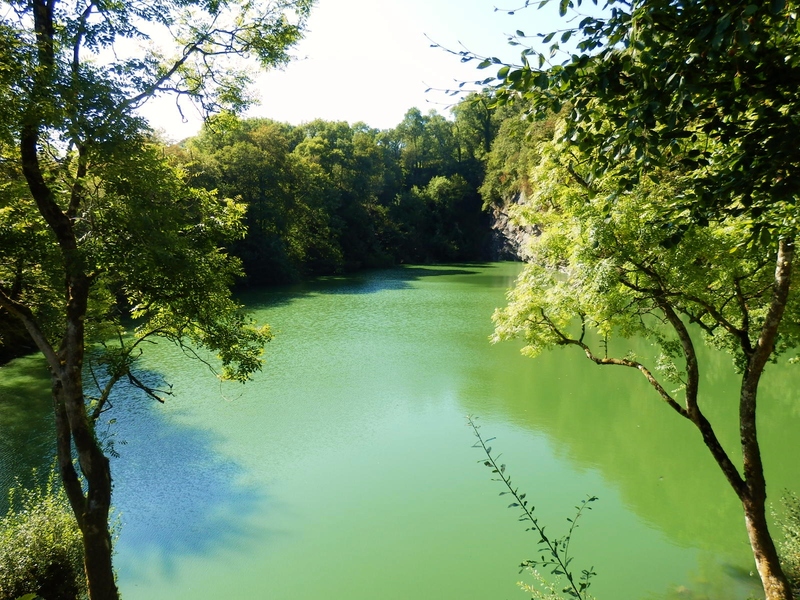 Excavation began on a small scale in the late 1700s and by the time the quarry became exhausted, early in the 20th Century, a two acre crater, some 130 feet deep, had been gouged from the ground. 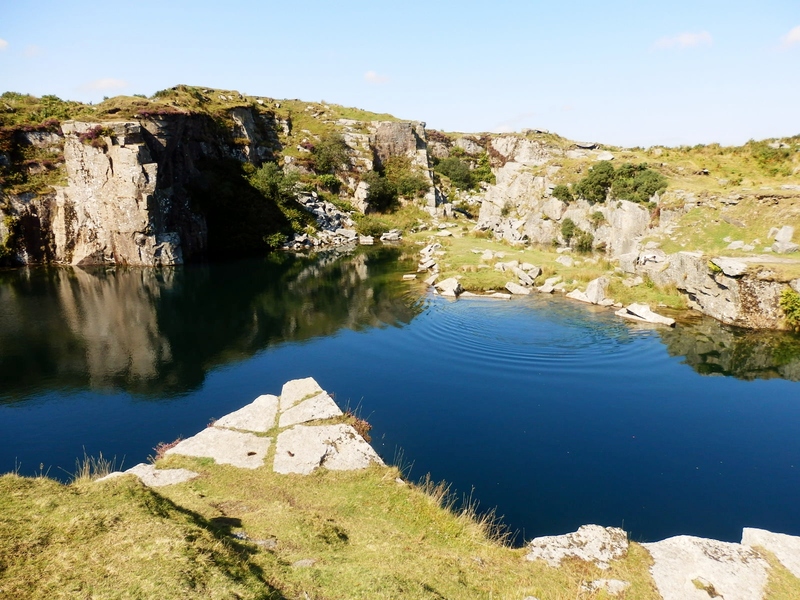 With time, moorland rains and Auden’s murmuring streams poured balm into the earth’s wound and today this quarry offers one of the finest swims on Dartmoor. 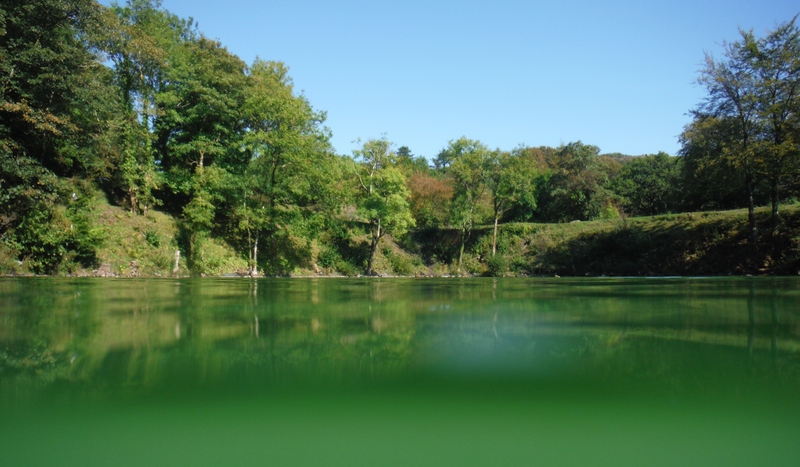 Or so the wild swimming sites proclaimed – with pictures reminiscent of a Mediterranean idyll; all sunlight and serenity. To be honest, I had never really believed that colour. It seemed too vivid, mystical, unearthly. 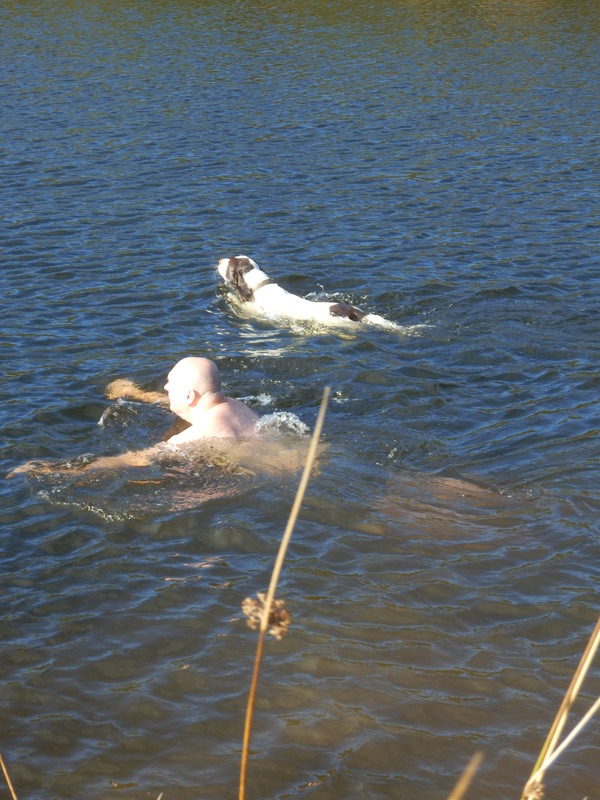 Certainly it was unlike the night-sky blackness that envelops the swimmer in most moorland pools. So, it’s with towel and a generous portion of scepticism stowed in my rucsac that I head for Meldon on a sultry Sunday afternoon in late September. Marley Bone is clearly as intrigued as me, for he leaps out through the car window before I have even parked. A bark of surprise and bemused face in my wing mirror shows that he has forgotten the harness he wears in the car, but his tail is still wagging as, gently swinging, he awaits rescue with an air of patient trust. Emergency over, we head downhill, passing dense bracken and spoil heap fingers that grasp the hillside. The bronzed hues of early Autumn are painted here and there and skeletal remnants of rosebay willow herb loom up beside the gnarled remains of a long dead hawthorn. Thistledown trips along the ground. Wisps of cloud follow suit in a deepening sky. The air hangs heavy with the drone of bobbing bees and I begin to doubt my direction, for there is no lake to see. Finding a bridge, I cross the West Okement and moments later, through a parting of trunks, it is there. So intense that I can only sit in awe – absorbing what I had failed to believe. Scrambling down through scrub and sending a cascade of stones into the water, it’s clear that the pool is instantly deep. No gently shelving entry here: In or out – all or nothing. And how good! 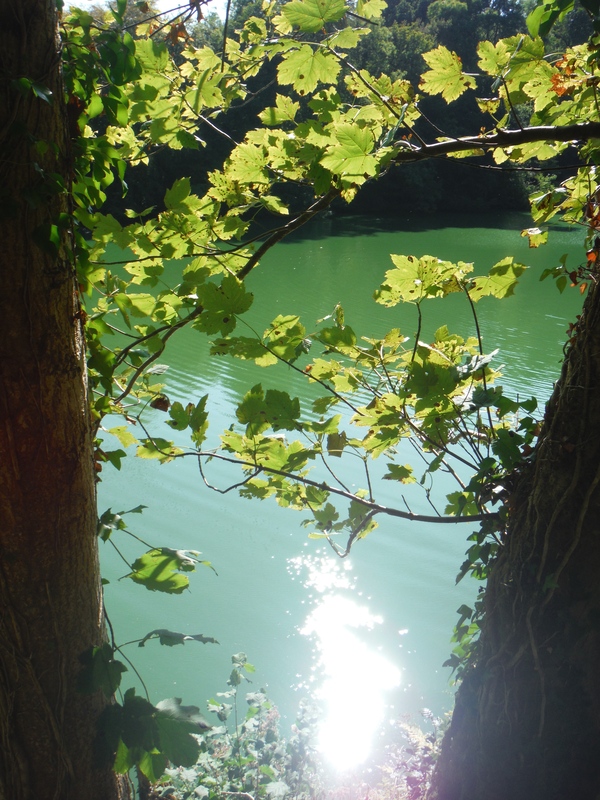 For the heat of a long summer has suffused these green waters. Dragonflies and a swooping wagtail become my crewmates as we set off on an exploratory voyage; traversing the length and breadth of the lake. Voices above send me into a grove of trees that dip and drape into the water on the far bank. I shelter amongst shadows where all is still and stagnant. Like an alligator floating with eyes barely crowning the waterline. This is ‘Deliverance’ without the duelling banjos. The voices pass and silence floods back into the quarry. Leaving my lair, I slide back out into the sunshine, into the heat and light that is focussed by the lake as if through a magnifying glass. I dive down, through a palette of greens that change from sage, through emerald to bottle as I probe deeper into the opaque water. Rising back, to float lazily at the heart of the pool, I am reminded of a more sombre day. 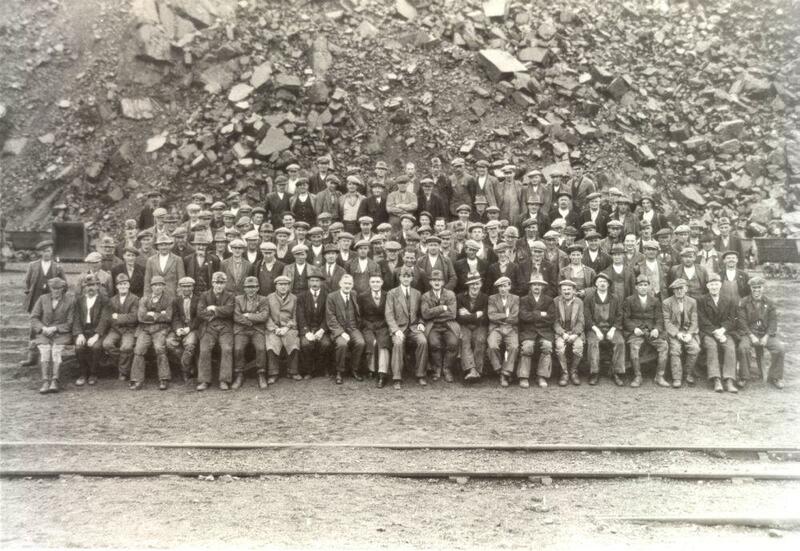 A day back in 1936; when a local man went missing and was believed to have drowned in the murky waters of the flooded quarry. 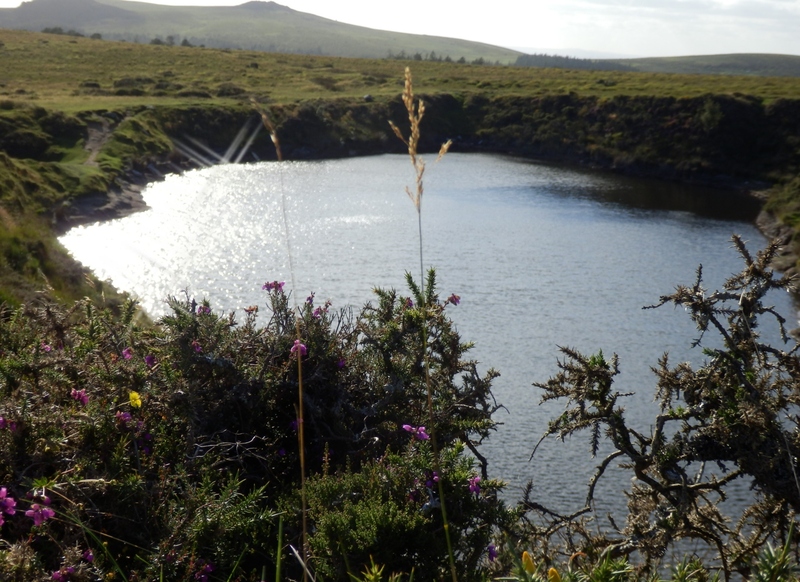 But no corpse had been found so a decision was made to ‘sing the body.’ This was a traditional practice on the moors whenever a drowning occurred but no trace was evident. It was believed that by singing sacred songs at the water’s edge, the body would be attracted to the surface where a Christian burial would be waiting. So a choir from Okehampton was duly assembled. Hymns were sung, psalms chanted and prayers said over the waters of Meldon. Within a few days the corpse was found floating on the surface – the last recorded occasion of a body being ‘sung’ from the depths. To my left, a sudden splash! Three lads have clambered onto a ledge of chert far above the water. Here a sloped overhang, created by the undercutting of limestone, towers 40 feet above the lake. 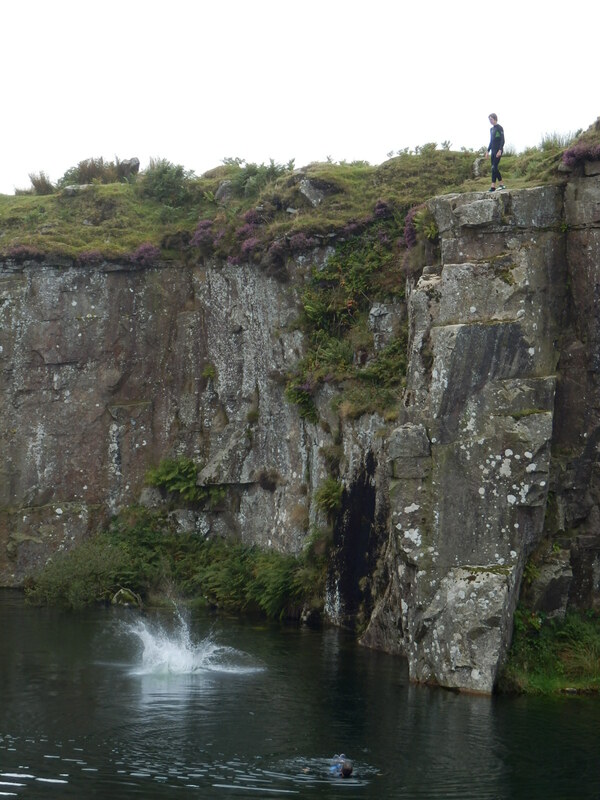 This is the site of the ‘Meldon Bomb’ – as infamous as it is dangerous – for, from this height, any dive that lacks needle-precision is potentially lethal. I feel a shiver. I’ve been in the pool for over an hour, so set off for the steep bank that leads to a towel and picnic. From my new vantage point high above the lake, I see a shimmering surface and shadows of sycamore in the dryness of the dust. But in the breath of a breeze, an occasional crusty leaf drifts across my gaze. A sign that all must change. To call this place Foggintor is a misnomer. For there is no longer a tor here, just an empty excavated hollow. A husk of a hill. 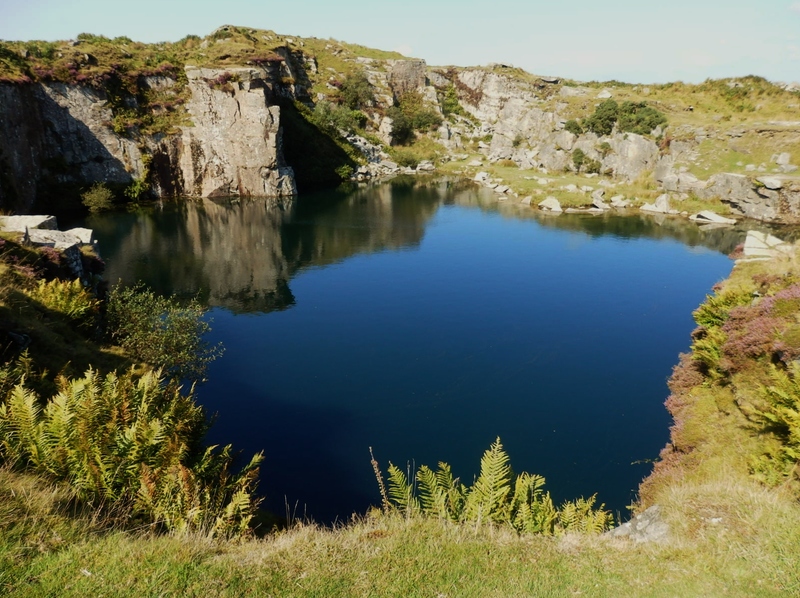 On the western slopes of Dartmoor, where the horizon expands to embrace sea, rolling pastures and the distant hills of Cornwall lies a quarry. A silent place now. Where the only sound is the soft, rhythmic grazing of sheep, or the occasional wistful moan of the breeze through long-derelict cottages. Cottages built from the granite that was quarried here in the days when this lonely place was a bustling business, a thriving and self-sufficient community where men worked and lived, loved and left. Cottages that lined up in a row against the casual whim of the elements. Where productive gardens and the family pig sheltered in the lee of dry-stone walls. 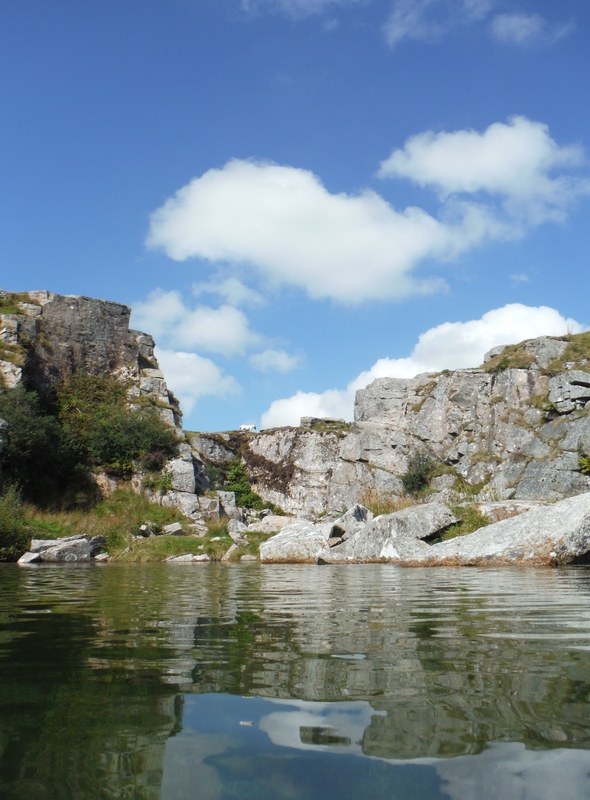 In its heyday, in the middle of the 19th Century, hundreds of men worked the quarry and from its grey faces were hewn Nelson’s column, Dartmoor Prison and the Plymouth Breakwater. 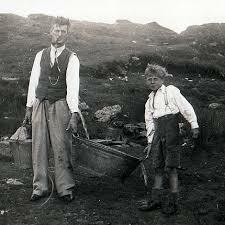 But that all changed in 1906 when the quarry fell silent and the bleak beauty of the moorland crept back. And gradually the quarry filled with water; the crisp clear water that abounds around here from overloaded clouds and a myriad hurrying springs. I had heard that this was a good place to swim; not deep nor wide nor long, but private and peaceful, protected on all sides from sight and season. So on a languid, lazy and overcast September evening I stood on one of the few patches of coarse grass that abut the lake and escaped the hot grip of my clothes. 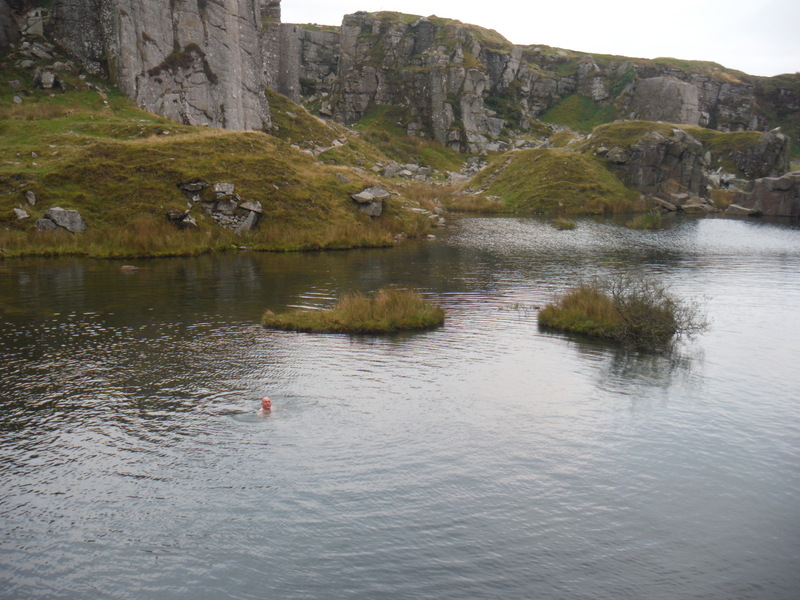 Sliding into the shallows, I took care to avoid the razor sharpness of the discarded blocks strewn around the quarry bottom – a barely submerged obstacle course through which I twisted and wove. The water was quite warm (14 degrees) as I swam into the deeper section, towards a brace of tiny islands, improbably adorned with an exuberance of leaves, like the head-dress of some Polynesian princess. Taking a deep breath, I dived down through roots to where sunken grasses grew on the silty bed, amidst shards of granite and sunlight. Surfacing to float on my back, my gaze drifted up past the yellow brightness of gorse flowers, their heavy coconut scent suffusing the evening air. Ferns clung to sheer sides of rock, using an occasional crevice to claw and claim a foothold and up beyond these opened a clearing sky, alive with the swooping dance of swallows. A burst of saffron heralded the slow steady decline of the sun, sinking deep beyond the silhouettes of Caradon and Bodmin moor to the west. Jail Ale and the best steak and stilton pie that money can buy were calling from the ‘Plume of Feathers’ at nearby Princetown. 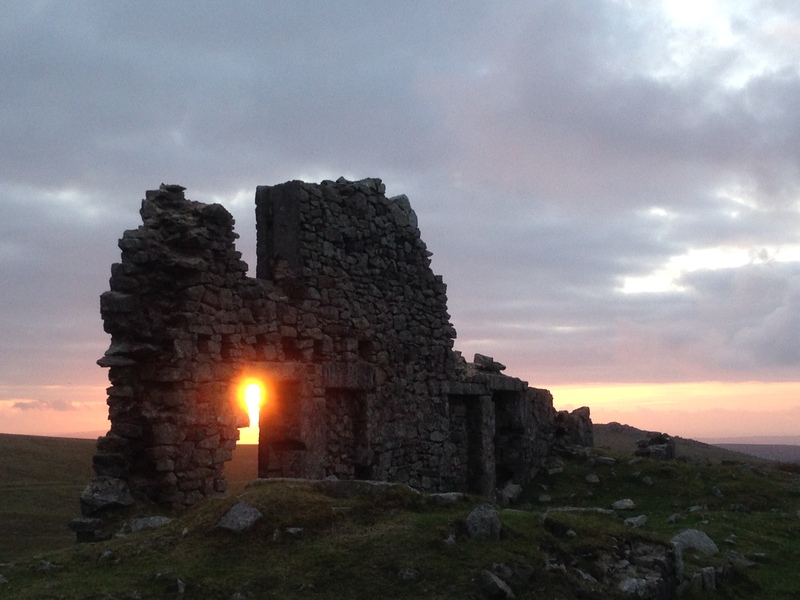 It is only four months since I swam with the setting sun at Foggintor, but a few days ago I returned – slipping and sliding along the old horse drawn tramway by which the granite blocks were hauled to the sea for shipping. 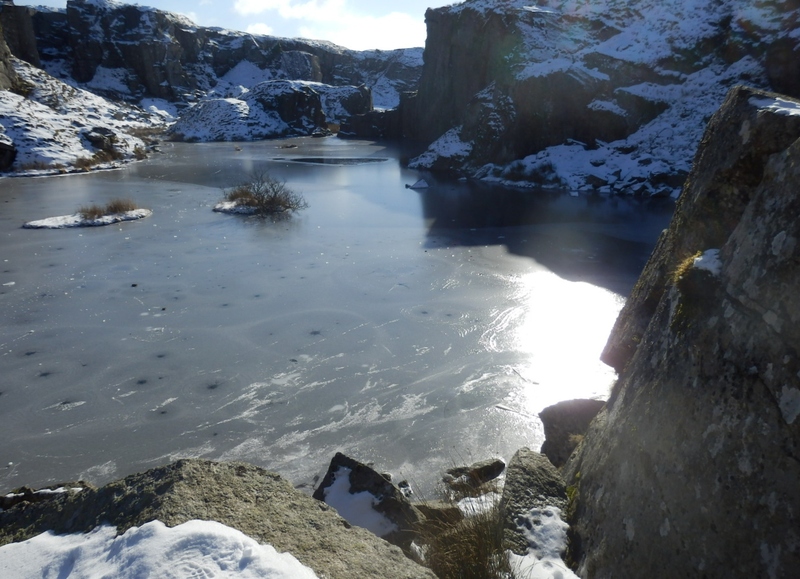 Feeling the crisp crunch of freshly fallen snow underfoot, I gazed in awe at the wholly frozen expanse of ice that was so recently the quarry pool. With wind chill, the temperature was minus five and, as echoes bounced and called between the rock faces, I imagined I could hear the shuffle of iced feet. The clatter of a cough. The cry of a chisel. 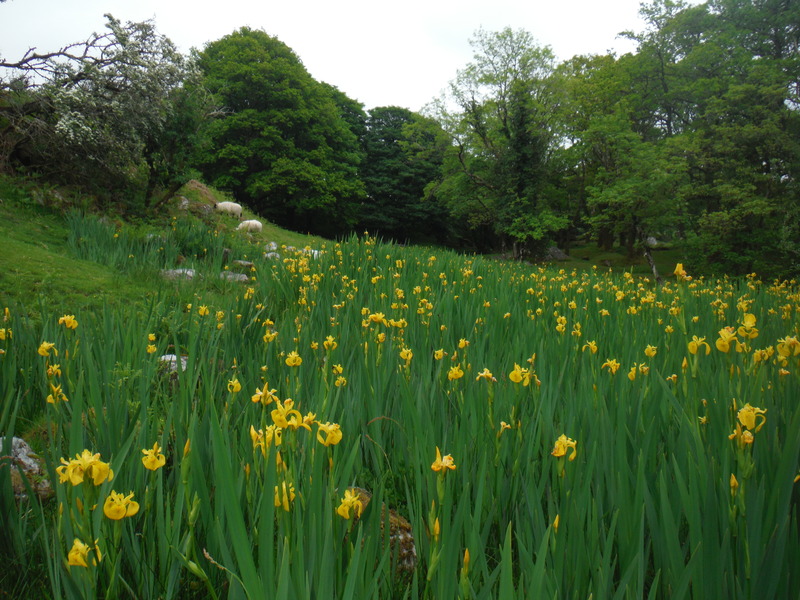 Gold Diggings, Bodmin Moor, Cornwall. Or so the song goes. 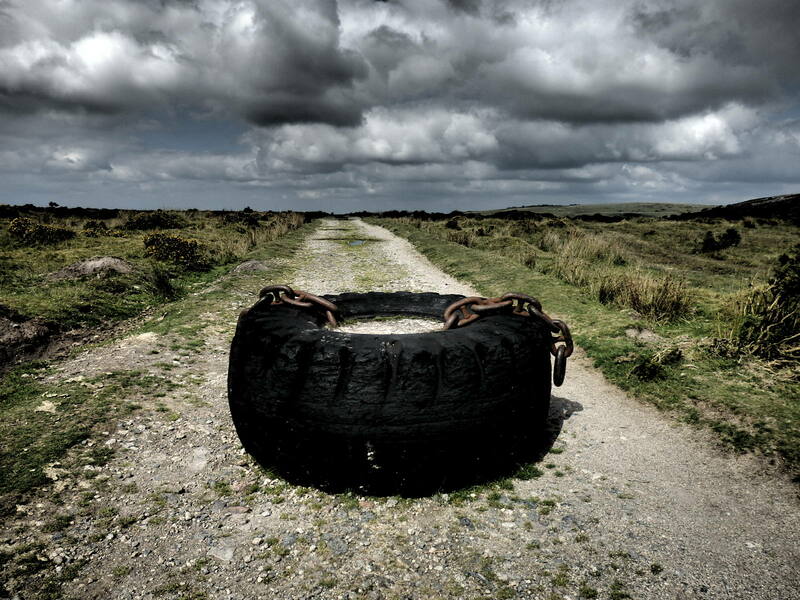 Coincidence then that I should unearth this rare and precious commodity on the scrubby moorland track that leads to Gold Diggings, a long abandoned and flooded granite quarry nestling among the tors of Bodmin Moor. It had been some 35 years since I last roamed the bleak beauty of these hills as schoolchild and Scout, but I felt instantly at home, surrounded by early heather, late gorse and the memory of friends. And for a while, a sacred time, there was nothing else. No sound except the occasional business of bees and a far-off whoop of glee as trekking horses broke into a gallop. No engines, no planes, no motorcycles. No carhorns or chainsaws. No lawns being mowed. No man-made scars on the soundscape. I paused to luxuriate in this absolute absence of noise. The air was clear and dew-dappled webs shimmered with morning sunlight as I looked east, towards the fields, farms, lanes, bike rides and adventures that were my childhood, so distant from the electronic prisons that trap and confine children now. 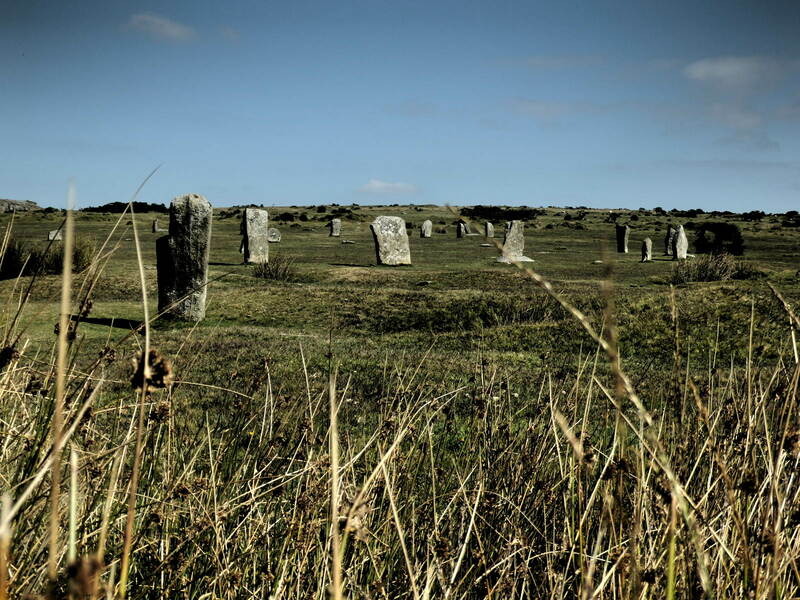 Close by lay the The Hurlers – (An Hurlysi in the Cornish tongue) – three large circles of standing stones whose origins likely date back to Neolithic or Bronze Age times. Tradition has it that they are the petrified remains of men who were turned to stone as punishment for taking part in a hurling contest on the Sabbath. Dowsers still visit from around the world to tap into the immense energy that is said to emanate from this ancient site. Mark the friendly falconer strolled by, fearsome talons clutching the thick leather gauntlet upon his wrist whilst piercing vigilant eyes darted alarmingly towards me. We strolled along the remnants of an abandoned railway that once bore locally quarried granite blocks on their journey towards Liskeard and the coast at Looe. Listless cows grazed, the eyes of foals followed us and a dragonfly hurried past. Above one distant quarry, sentinel-like, stood the Cheesewring, an improbable granite stack, sculpted by ice, wind and rain over the millenia. 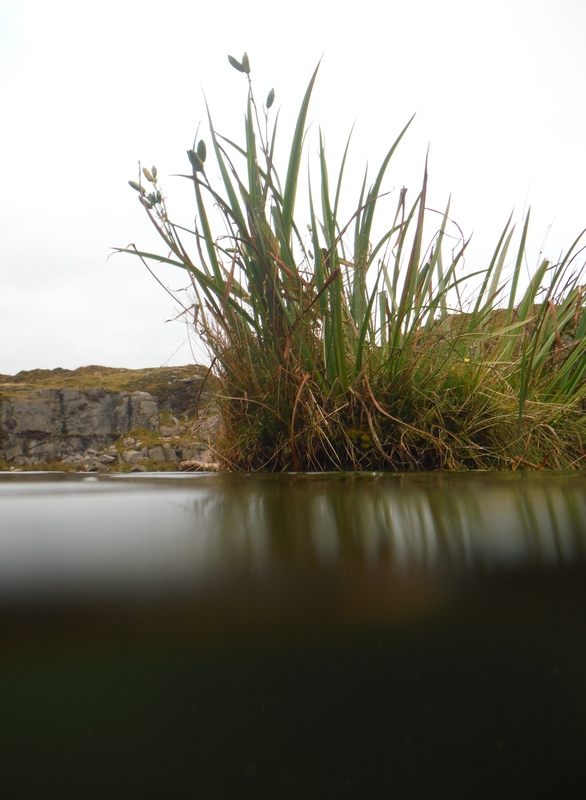 Heading west for a further twenty minutes brought us to our goal; a second quarry, known as Swit or more commonly, Gold Diggings – long abandoned as unprofitable and now flooded with both water and sunlight. 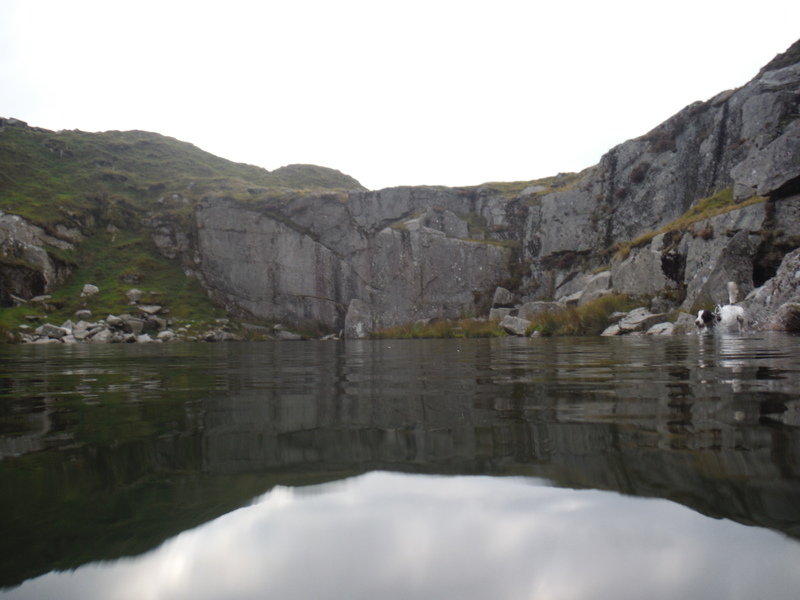 Deserted, except for the echoes of our footsteps, this was a place I had hoped to visit for some time – a swimming hole known to generations of moorland folk. The sun was high and the breeze warm, so I had no hesitation in discarding clothes on the grassy bank and plunging into the delicious (15C) blue water, whose clarity revealed a myriad fish, some quite large and all inquisitive, nudging and probing my feet. I set off across the mirrored water, secure in the solitude and serene calm of the lake. An effortless swim, a lazy drift and float. Perfection. Paradise. The sudden overhead appearance of a trio of smiling faces shattered the idyll and I hurriedly swam back to the shore and the reluctant modesty of my trunks. 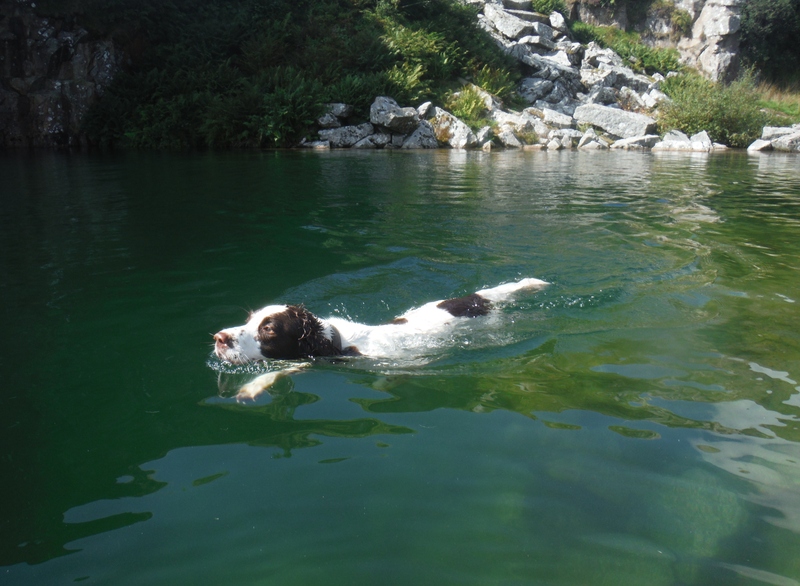 But I needn’t have bothered, for as the happy family descended towards the shore I heard their German voices and relaxed, knowing they were likely to hold a much more liberal and enlightened view of natural swimming than that of the painfully prudish Brits! For the next 45 minutes I crossed over, cruised around and explored every outcrop and crevice, savouring the occasional brush of warm currents and heading into deeper, darker waters when another family passed by and paused to chat. 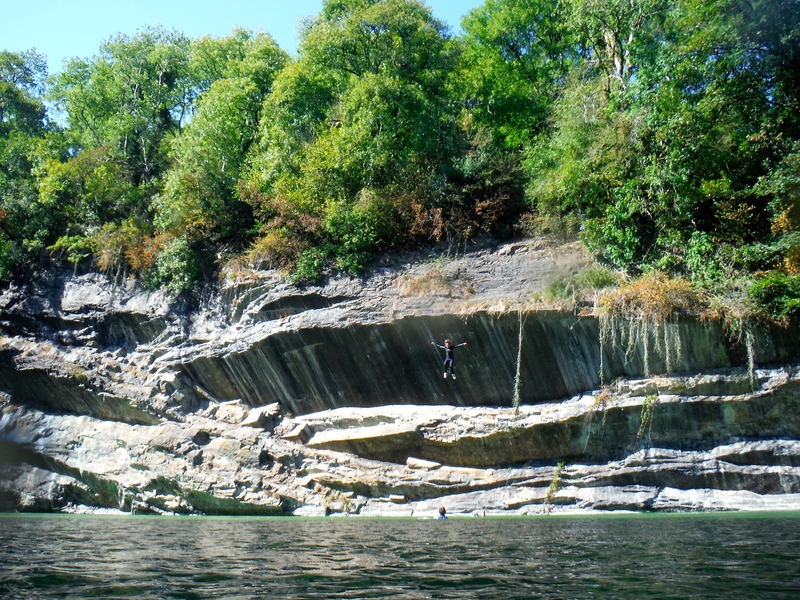 Three ‘tombstoners’ appeared, donned wetsuits and defied both death and logic by leaping from the sheer cliff sides. At least they had managed to escape from a virtual world and were now experiencing the thrill of reality – of the moment – without care for the past or concern for the future. They were just being. Unwrapping a pasty and throwing the crust to an ever-patient Marley Bone, I was perhaps a little envious as I recalled my careless, carefree teens and bit hard into an apple. A mild wind blew across our faces as we retraced our route back. All was peace again. Looking west, beyond the sealed quarry tracks, the outstretched fingers of granite waste, skeletal engine houses and undulating fields lay the sea. And I realised that I was viewing the industrial heritage of my home county in a single, intense vista. Sensing decay, a carrion crow circled overhead. The hazy sun present on departure was soon transformed into slow lazy leaden drops of rain, warm and tantalisingly refreshing, as I headed up the stony track from Norsworthy, past Down Tor and towards Cramber Tor arriving at Crazywell Cross and pool, some 30 minutes later. 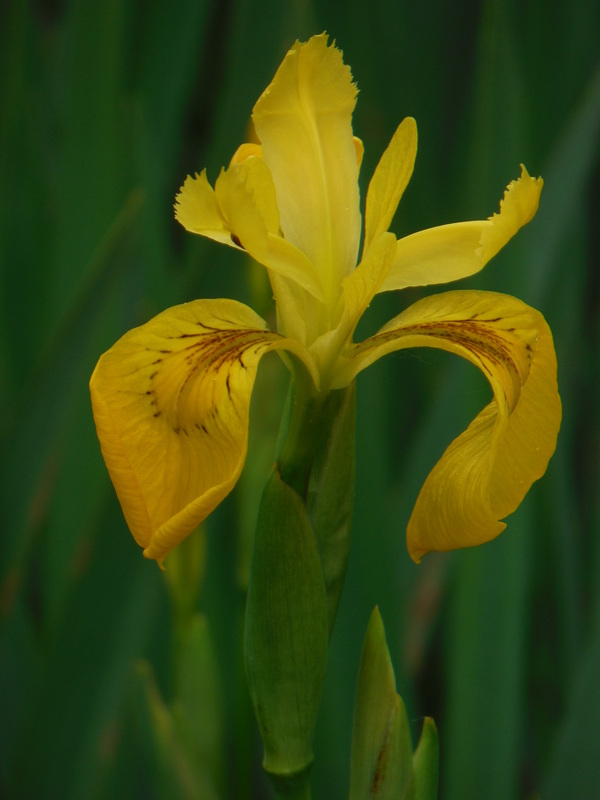 The journey took me past a meadow of yellow flag iris with sheep grazing around the margins of their marshy home. Beyond this, a panorama that included Burrator and a far distant Plymouth Sound. 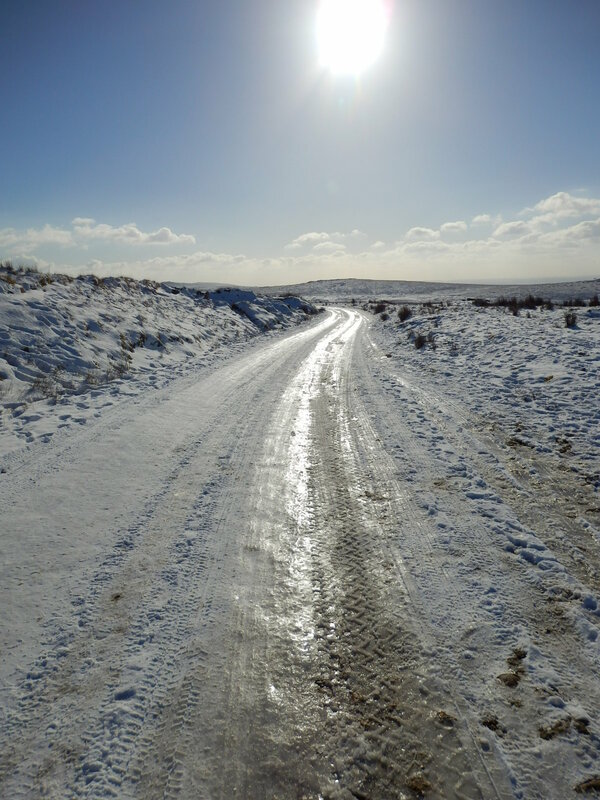 There can be little doubt that the south west of Dartmoor offers some of the most spectacular vistas in the entire South West. Like a broken and windswept web, lichened undulating grey drystone walls straddled the moorland and all about; the heady coconut scent of gorse flowers, an explosion of may blossom and early foxgloves. A straggle of Royal Marines, some striding, some stumbling passed by, eager for their next water stop. For this is an area used by the military for training and it is only a handful of years since one young recruit perished in the icy winter waters of Crazywell. 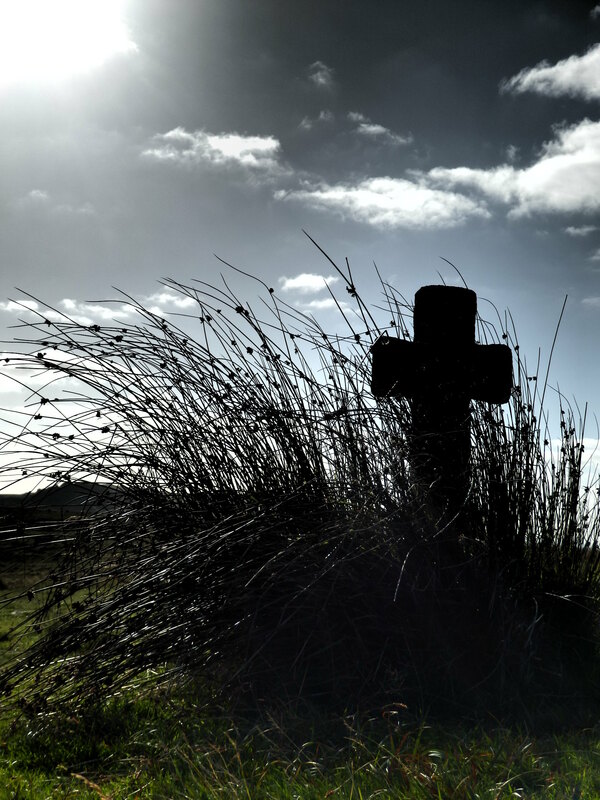 In the shadow of Crazywell Cross, one of many granite crosses marking the ancient route between Buckfast and Tavistock Abbeys, the pool was grey, wind ruffled and uninviting on arrival. This served as a reminder of the legend that the waters whisper the name of the next parishioner to die into the whistling wind, for there is no shortage of folklore and superstition regarding this remote and bleak place. 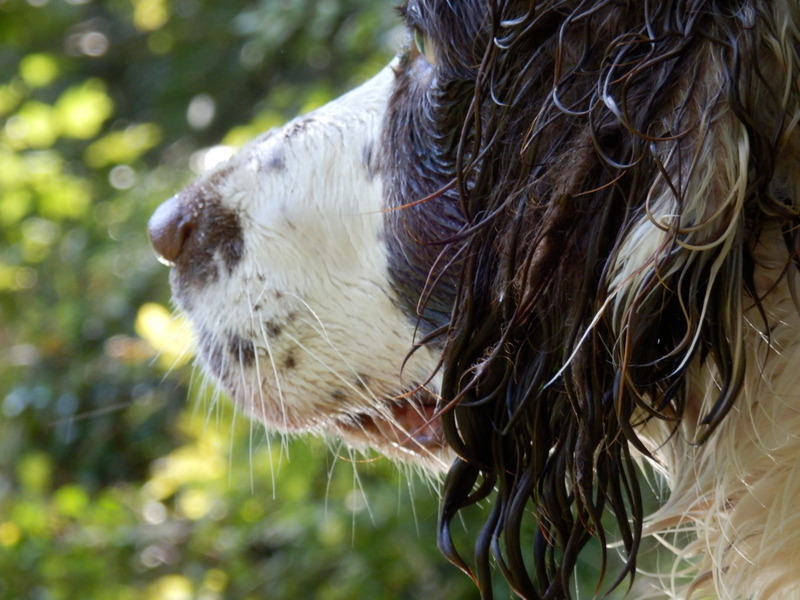 There were spits of rain in my eyes as I peeled off my kit and slid into the water, now far cooler than when I had last visited towards the end of the long hot summer of 2013. 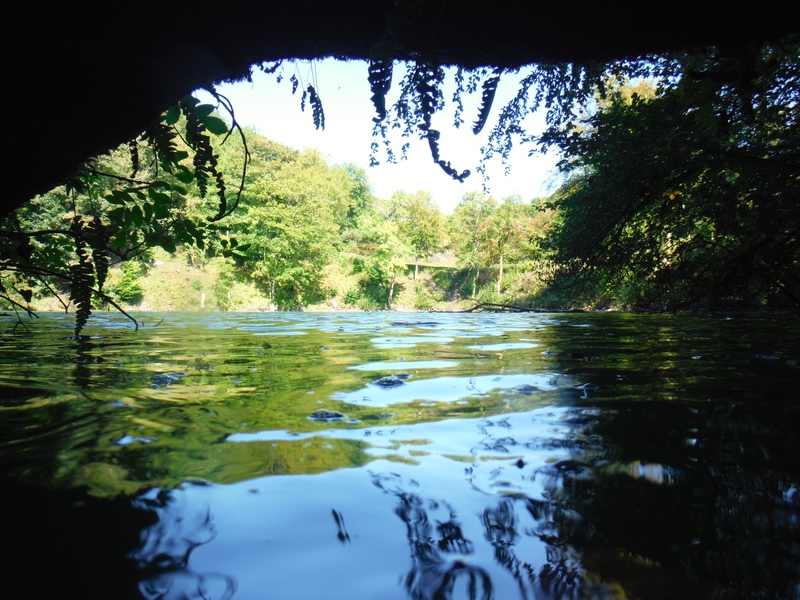 A sudden shard of light leaping from behind a cloud heralded my entry and soon my feet were melting into the soft silty bed and I was enjoying a relaxed breast stroke towards the far bank. 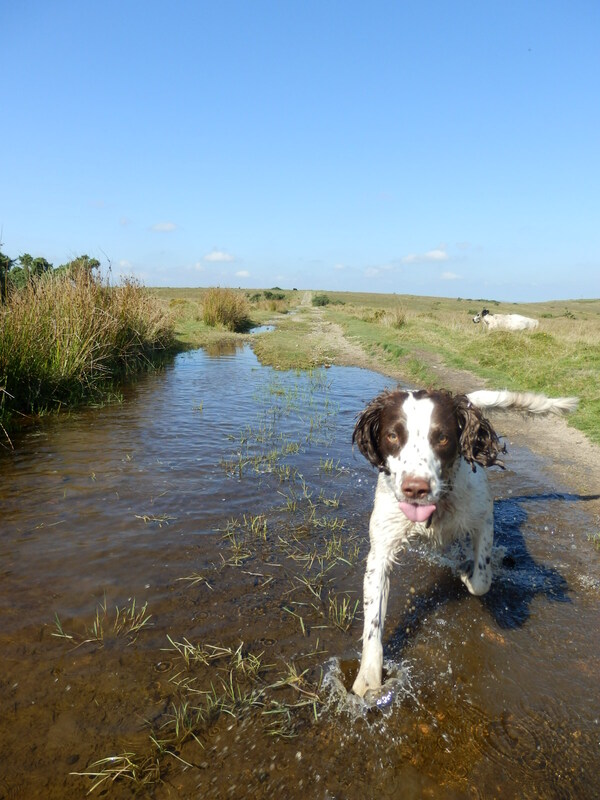 The absolute peace of the place was dappled only by the sound of rippling wavelets amongst the reeds, the excited call of a skylark and the steady rhythmic whoosh of an overflying duck. Leaving my swimmers tucked into the bank I swam free and for a moment the cares of the world drained away, diffusing into the water. I was floating in a second Eden, a place of beauty and innocence. 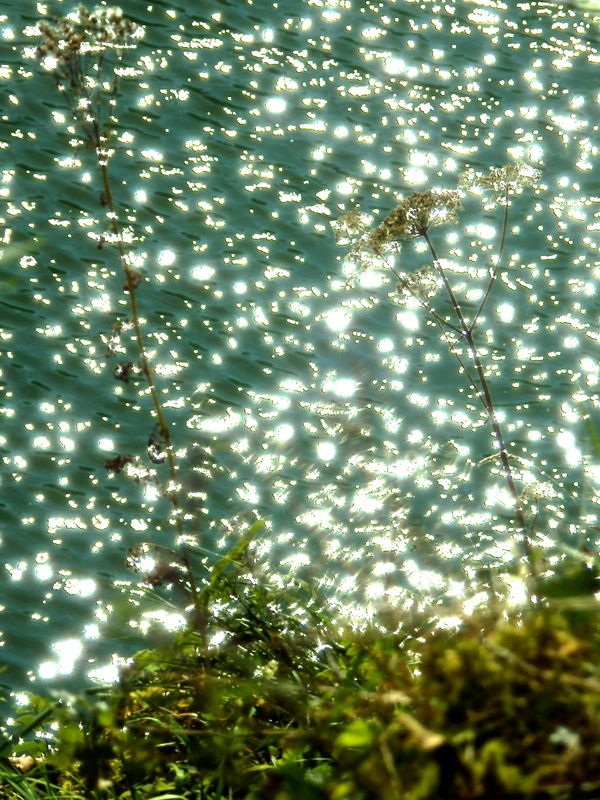 From time to time, an occasional sun scattered diamond shards across the 0.86 acre (3,500 sq m) surface of the lake. 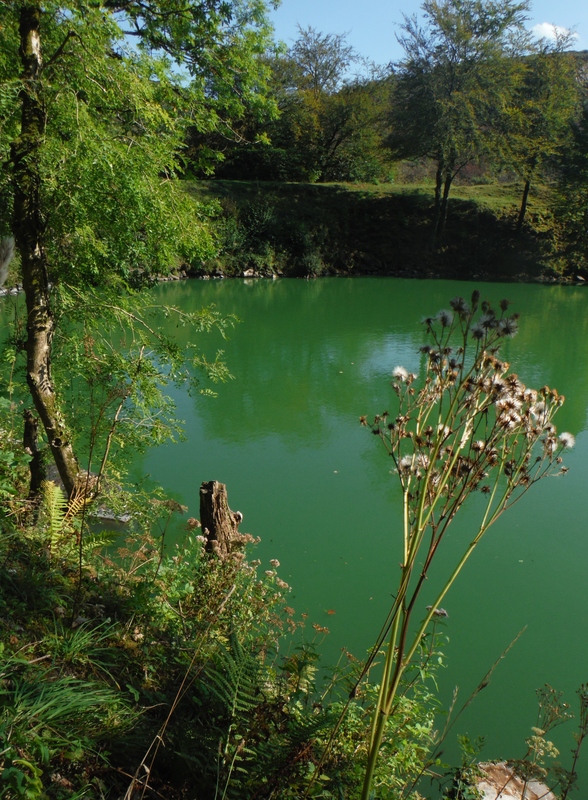 The origin of Crazywell is uncertain, but most likely it is a flooded mine excavation, as the pool lies adjacent to a valley known as Newleycombe Lake where tin workings abound. The banks are up to 100 feet high and the lake was once reputed to be bottomless, its levels changing with the tides. Actually, the water level rarely changes – being maintained by a hidden feeder stream and subterranean drainage.